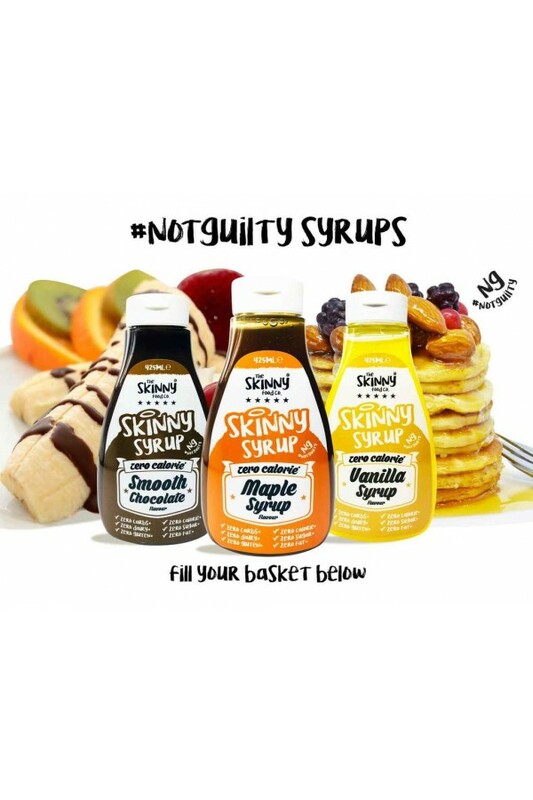 Amp Up Your Game with The Skinny Food Co Skinny Syrups. Our Zero Calorie, Zero Sugar, Zero Fat - GUILT FREE Sauces are a fantastic way to enjoy desserts, cereals, drinks and much more by adding a yummy flavour to enhance the taste even further. Unlike other syrups containing tonnes of calories and bad ingredients we use all natural ingredients and have spent a long time formulation and perfecting our recipes. So we know you will be back to enjoy them over and over again!